Shooting Stewardess in Berlin by Andreas Lukoschek. Looks excellent! Trans-Canada Air Lines (also known as TCA in English, and Air Canada in French) was a Canadian airline and operated as the country's flag carrier. Its corporate headquarters were in Montreal, Quebec. Its first president was Gordon Roy McGregor. The airline operated under its original name from 1937 to 1965, when it was officially renamed Air Canada. [Anna Sanina, POPSOP. 23 JUL 2012] Virgin America has tasked Banana Republic to design a new uniforms for the airline’s 2,000 workers and this summer it goes live. The uniforms look fresh and stylish featuring aviation details such as as shoulder tabs and button chest pockets. The main colors—red and black—are inspired by the airline’s service style and its cabin design. Pilots, in-flight and airport workers will start wearing it August 8, 2012, which marks the fifth anniversary of Virgin America. The uniforms include nine styles for men and thirteen styles for women. CityJet Limited is an Irish regional airline with headquarters at the Swords Business Campus in Swords, County Dublin, Ireland. It operates at London City Airport, and flies franchise services on behalf of its parent company Air France from Paris Charles de Gaulle airport. Since the take over of VLM Airlines, CityJet has some head-office departments located in London and Antwerp, Belgium. The airline owns and operates maintenance facilities at Dublin Airport and Antwerp Airport. The album was formally announced along with its track list on November 1, 2012. The Japanese newspaper Sankei Sports was the first to reveal concept photos for the album, which featured the group as retro-inspired flight attendants. A professional photographer (VintageTouch, Flickr) shooting stewardess in vintage style. [Agansis.Com 20 Mar 2013] Being a stewardess who worked on airplanes is actually a tough job. Many people may think that the job of a flight attendant is just serve food and beverages to passenger. However, the real responsibility that they bear very heavy. 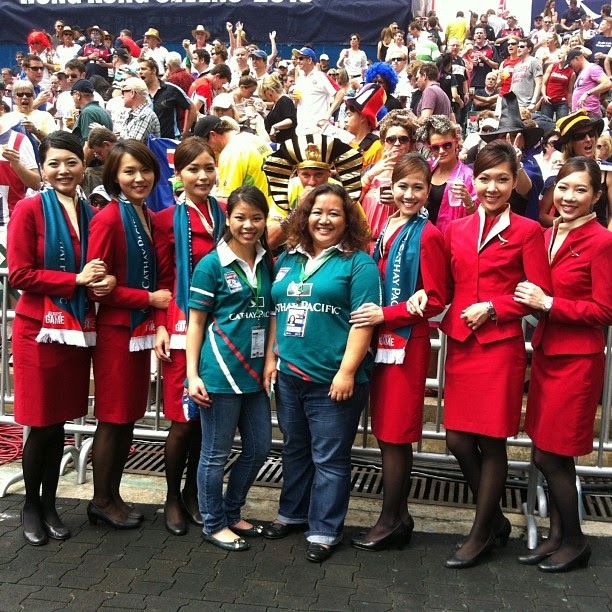 Behind the appearance of beautiful, elegant and graceful flight attendants are strong and courageous figure. Why? Because they assume responsibility for the safety of passengers. When a plane crash (fall / pndaratan emergency) they should not run away from the plane, but they have to evacuate passengers, regardless of the aircraft when it will explode. Passengers are number one. Happy Birthday! 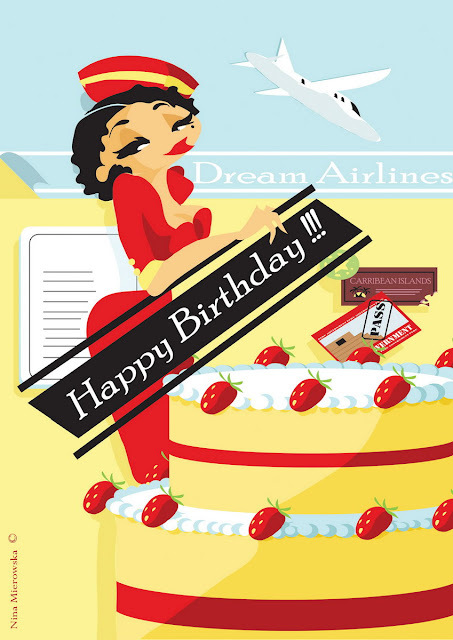 World Stewardess Crews turns 2 year old! Happy Birthday! World Stewardess Crews turns TWO year old! Yes! We were born on April Fools' Day! Thank you for the support on this site~! Please support us by clicking the external linkage in pop-up window! Thanks a lot! Air Australia Airways was the trading name for Strategic Airlines Pty Ltd an airline flying domestic and international scheduled passenger flights. 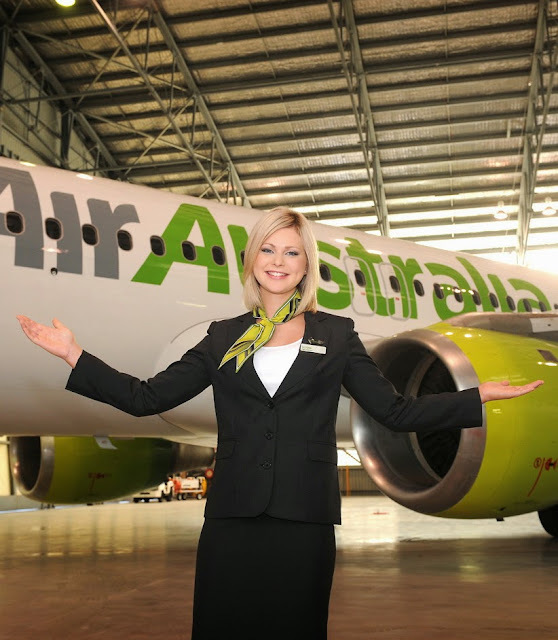 Strategic Aviation, a sister company, flew charter flights using the Air Australia fleet or other leased aircraft. Both companies had their head office in Hendra, Brisbane, Australia. Air Australia halted all flights and was placed into voluntary administration on 17 February 2012, and into liquidation on 23 March 2012. Founded in 1991 as an air freight broker and trading as Air Charter Logistics, Strategic Aviation Pty Ltd was established by Executive Director, Shaun Aisen. The company specialised in the transportation of oversize or unique cargo, chartering flights on Antonov An-124s, Ilyushin IL-76s and Boeing 747 freighters. In 2002, Michael James joined the company as an Executive Director and equal shareholder. With a background at Ansett and air charter, James assisted the company to successful bid for the Australian Defence Force Troop Lift Contract. With this diversification, the trading name was dropped and the company rebranded as Strategic. 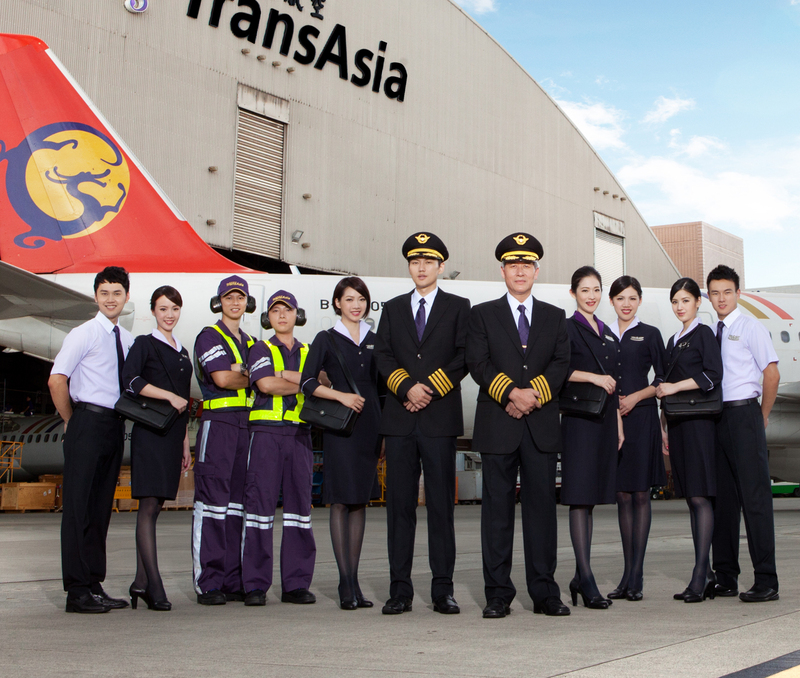 TransAsia Airways (TNA, 復興航空 Fùxīng Hángkōng) is an airline based in Datong District, Taipei, Republic of China (Taiwan). It mainly serves the domestic market but also has limited scheduled and charter international services to China, East Asia, and Southeast Asia destinations. ransAsia was formed in 1951 as the first private civil airline in Taiwan, flying the Taipei - Hualien - Taitung - Kaohsiung route. It also served as local agent of foreign airlines and provided airport ground handling services for foreign airlines. Air services ceased in 1958 when the management of the airline decided to concentrate their attention on their agency businesses. It established its airline meal catering services in the same year. Domestic flights were resumed in 1988, after an absence in the market for 30 years. In 1991, first ATR72 aircraft joined the airline. In 1992, unscheduled charter services to international destinations, including Laoag, Manila, Cebu, Phnom Penh, Surabaya, Yangon, Phuket, Danang and Manado started. The Airbus A320 joined the fleet, becoming the first jet in the airline.